A: Today, do not use the words ‘Kind of,’ ‘Sort of’ or ‘Maybe.’ It either is or it isn’t. 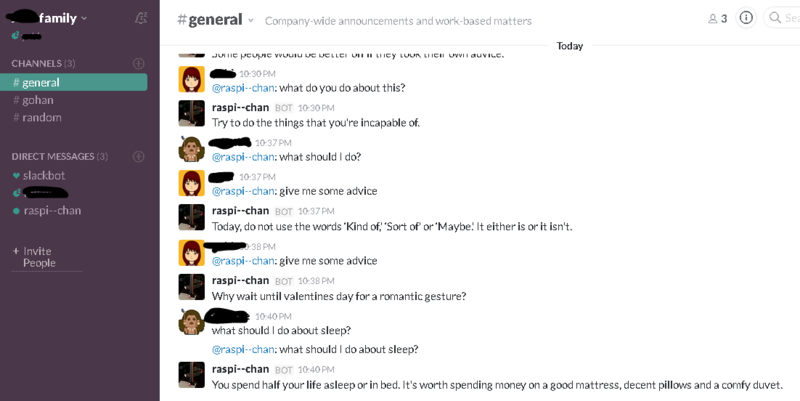 Q: @raspi–chan:what should I do about sleep? A: You spend half your life asleep or in bed. It’s worth spending money on a good mattress, decent pillows and a comfy duvet.